Remove the mounting bolts?€‰(1) for the front suspension frame skid plate. 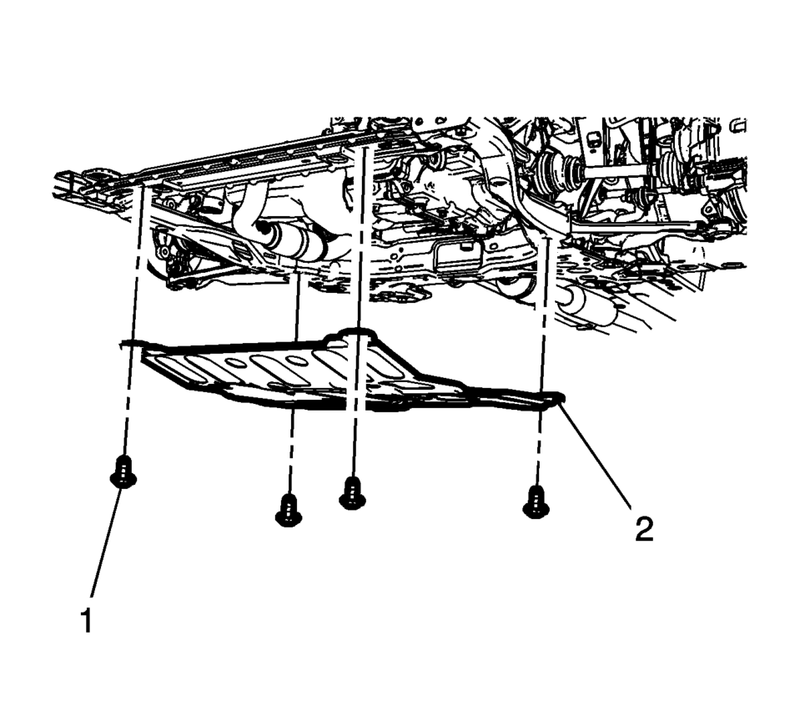 Remove the front suspension frame skid plate?€‰(2). Position the front suspension frame skid plate?€‰(2) on the frame.